We have several sterilizers in our dental practice. Alfa is our source for all of our sterilizer needs. I have met them at the Hinman trade show in Atlanta. They appear to be very helpful, and answered every question which I had. I was so happy that I made the decision to have Alfa rebuild my Pelton & Crane sterilizer. Since then, we had purchased 2 other sterilizers from Alfa, one new and one refurbished. They are always there ready to help and support us. I highly recommend them. They are ethical, professional, very technically oriented, and nice people to deal with. Alfa Medical stands behind their product and their work. In 1993 my Pelton & Crane sterilizer OCM broke down. I was about to throw it away and buy a new one. At the American Dental Association (ADA) convention, I looked around at different sterilizer companies. When I stopped by Alfa's booth, I was very happily surprised to find out that my Pelton & Crane could be restored to look like new. In addition to looking like new, Alfa installed automatic shut off and automatic vent mechanism which saves us time and avoids having to worry whether the sterilizer needs to be shut off or not. It does it by itself. This is a decision that I made which I am very happy about. When my Pelton & Crane OCM sterilizer broke down in 1992, I didn't feel like spending $3000.00 to buy a new one. I was referred to Alfa Medical by a friend of mine from Patterson, NJ. I am so happy I let Alfa rebuild my sterilizer. For 7 years it worked great. In May 2000, the fill function stoped working. I called Alfa to see if they can service it. They explained to me what I needed to do over the phone. It is working great. I highly recommend them for rebuilding your Pelton & Crane OCM sterilizer. You may call me any time. 1. Finance. It was less costly than having to buy a new sterilizer. 2. I liked the fact that when they re-manufactured the sterilizer, they installed an automatic shut off and automatic vent mechanism so the sterilizer will never over heat again. 3. I have seen Alfa at the Northern States Veterenian meeting in Orlando every year for the past 11 years, and I am very pleased to see that they are interested in serving our profession. I made an economic decision to save money. I had Alfa Medical rebuild my Sterilizer. In 1995 my Pelton & Crane OCR sterilizer, which I had for many years broke down. I saw an ad for Alfa Medical and what they do to the Pelton & Crane OCR. I called and asked for literature describing what they do the Pelton & Crane OCR sterilizer in detail. They were very courteous on the phone, and sent me the literature. They were persistent, and every few months they called to find out how our sterilizer was doing. I met Alfa Medical in 1996 Western States Veterinarian Convention in Las Vegas. My Amsco sterilizer model 8816 wasn’t working. They told me that they can refurbish for the cost of $995.00, and that it will be guaranteed for one year. I gave them the go ahead, and I am so happy I did. They did everything they said they will do. Very reliable people to deal with. I was very impressed with their service, the courtesy they give me, and their whole way of professionalism. We have been using Alfa Medical for our sterilizer needs since 1992. We had Alfa rebuild 6 of our Pelton & Crane OCM sterilizers, and we purchased several other rebuilt sterilizers. We have several dental clinics in Georgia. Every time we have a need for parts, or if something is wrong, Alfa is very fast to react to our needs. We have been extremely pleased with them, and I would recommend them to anybody. Whenever I call, their customer service is ready to help and fulfill my needs. Another great benefit of Alfa Medical, is if I want to talk to Shlomo Savyon (founder and President of Alfa), he is available. I like working with companies, where the owner picks up the phone to help with daily issues. If you want to ask me any specific questions, please feel free to call me anytime. In 1989 I met Alfa Medical through an ad in DPR (Dental Product Report Magazine.) They sounded very helpful and pleasent on the phone when I ordered a re-manufactured Pelton & Crane OCM sterilizer. I am very happy with the decision to buy from Alfa. The sterilizer works great. I am also very satisfied with Alfa’s service. When there is an issue, I call them, they are very consciousness and eager to please. They helped us through issues we have on the phone, and make sure that everything works 100%. I highly recommend them..
We traded our Pelton & Crane OCM sterilizer in May 1995. It has been working great. The way Alfa refurbished the sterilizer was very satisfying to us. 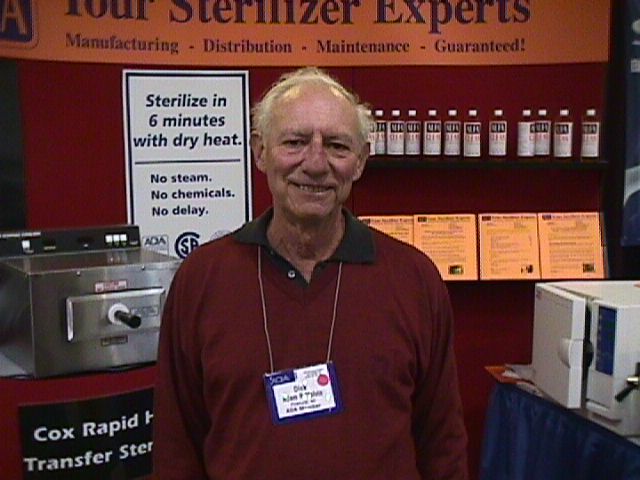 The sterilizer is very reliable and so are the people at Alfa, In particular Mark Sanders who is our representative. We started dealing with Alfa back in 1989. We own both the Pelton & Crane Sentry and the OCM. Alfa Medical had re-manufactured both of them for us. We have both sterilizers in a small sterilization area. Before we had Alfa re-manufacture our sterilizers, we could not hear the timer bell ring (this is because we have in all of our treatment rooms televisions for the patients comfort). The sterilizer would be running so many times longer then an hour. Many times causing malfunctioning of our sterilizers. The benefit of the Pelton and Crane OCM sterilizers shutting off and venting by themselves is tremendous, and saves a lot of money. Whenever we have had problems with the sterilizers, Alfa's service always responded right away. Alfa offered us loaners and gave us fast repair service. Alfa's repair technicians have always been great with help over the phone to diagnosis of our problems. Alfa has always given us advice on how to properly use and maintain our autoclaves. One of my main concerns with equipment suppliers was their ability and rediness to help when service issues come up (and they always seem to come up). Alfa Medical is big enough of a company to be able to help & support all of our sterilization needs, and small enough to be able to 'ON THE SPOT WHEN WE CALL' to poke their noses into our file to see what went wrong, and what is the right thing that is needed to be done to solve our issue. I first start dealing with Alfa back in May 1988. I always was very happy with their services. It is very easy to deal with them. They always treat me with respect, and value my time. They work fast and take care of my needs right away. 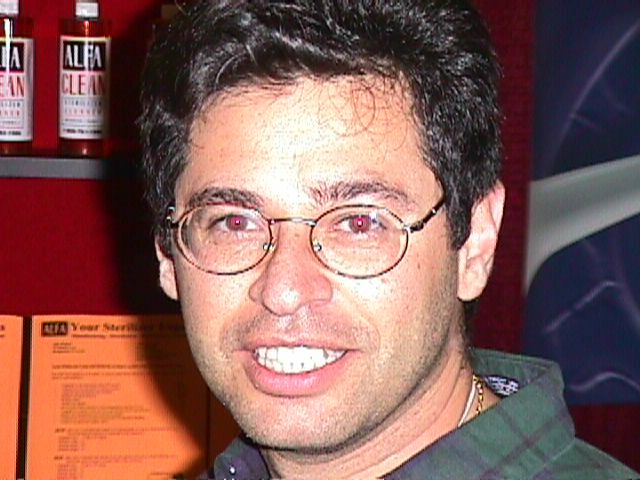 In August of 1998, I found Alfa on the internet. I always call the company I wasnt to business with when I find them on the web. I did the same with Alfa. They were very pleseant on the phone, and eager to please me. I sent them my Pelton and Crane OCR+ to be rebuild. The sterilizer came back in a great shape, clean looking and working the best ever. I then had sent them my other Pelton & Crane OCR+ sterilizer to have that one rebuilt too. They both working fantastic. Any time I need a part, I call Alfa, and they are there ready to help.